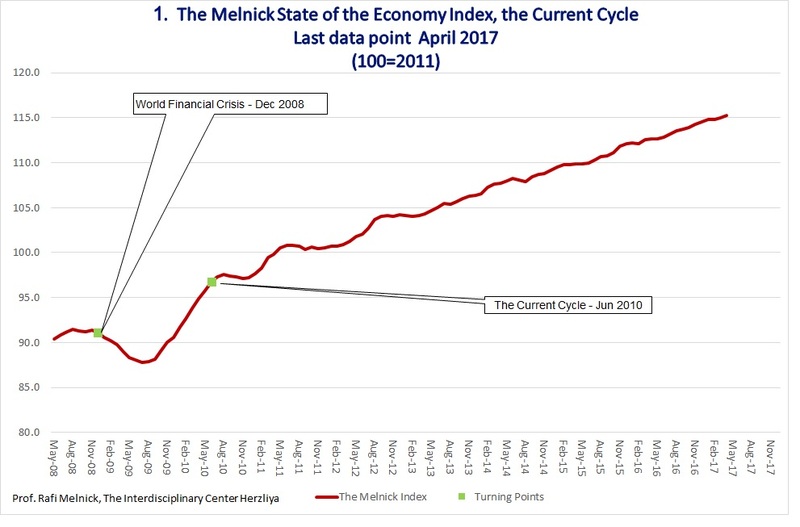 The Melnick State of the Israeli Economy Index increased by 0.2 percent in April 2017. 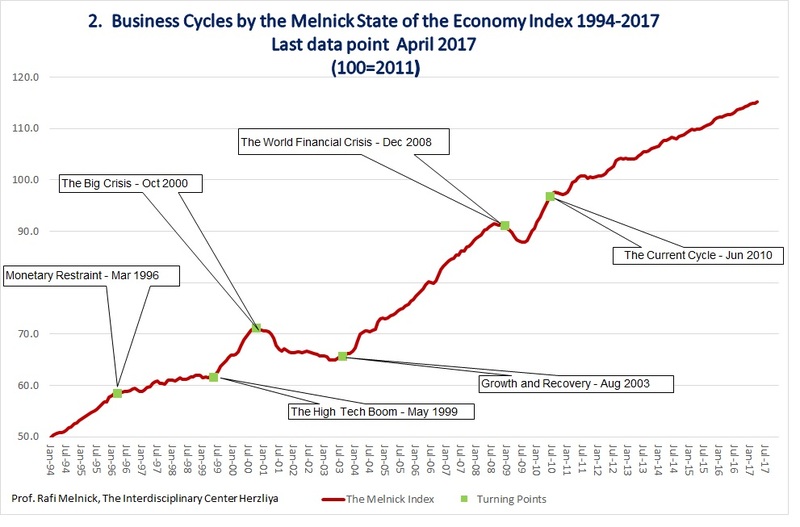 The business sector growth continues. The revenue in commerce and services, which reflects domestic demand and especially private consumption, points to a stable level compared to the growth that characterized it in recent years. 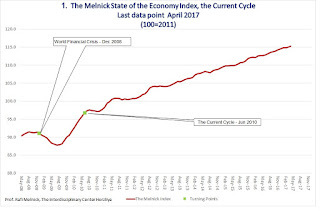 It is too early to determine whether the economy's growth engine in recent years is slowing down. 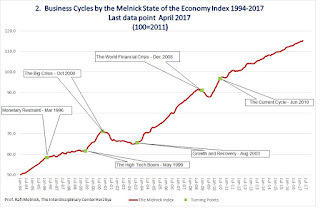 The industrial production index, which reflects the supply side of the business sector, rose, although it was still adversely affected by the problems of Western economies. 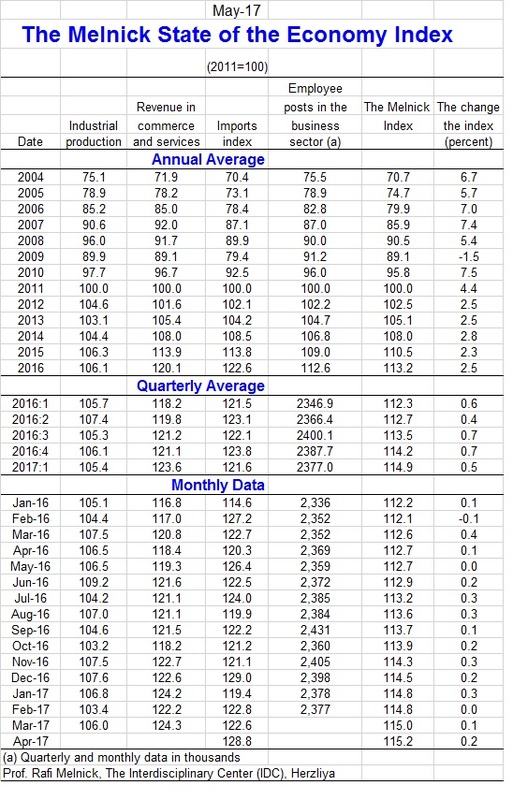 The import index, which includes mainly, imports of inputs for domestic production, but also consumer goods, rose and indicates that economic growth continues. The number of employee posts in the business sector did not change from the previous month, but its level reflects a strong labor market. 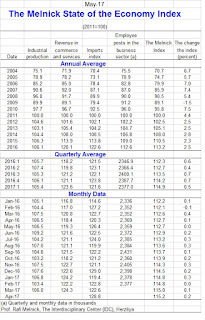 The April index components include: an increase of 2.5% in the industrial production index in March, following a decrease of 3.3% in February; An increase of 1.7% in revenue in commerce and services in March, following a decrease of 1.6% in February; An increase of 5.1% in the import index in April, following a decrease of 0.2% in March, and no change in the number of employee posts in the business sector in February, following a decrease of 0.9% in January.